How to Survive "Post-Costa Rica Depression"! Adjusting to life after your Costa Rica Trips? It can be tough. You have returned back from the land of beaches, monkeys and Pura Vida…Now what? These 5 tips will help you settle back into your everyday life, while still embracing the magic of your Costa Rican experience. As soon as you get home, beat the post-vacation blues by documenting your memories. The possibilities are endless with what you could! Create a slideshow, write a blog post or even make a scrapbook to help with adjusting to life after Costa Rica! Documenting your Costa Rica trip will keep your trip fresh in your mind and help you relive all of your favorite travel memories. This may cause some nostalgia, but can help with adjusting to life after Costa Rica! Are you waking up in the morning craving Gallo Pinto? Or wishing you had the opportunity for just one more Casado? Well why don’t you try whipping up some of your own! The beauty of Costa Rican cuisine is in its simplicity. Just pick up some rice and beans from your local grocery store and start from there. Need some inspiration? Check out Costa Rican Food for a few more ideas. 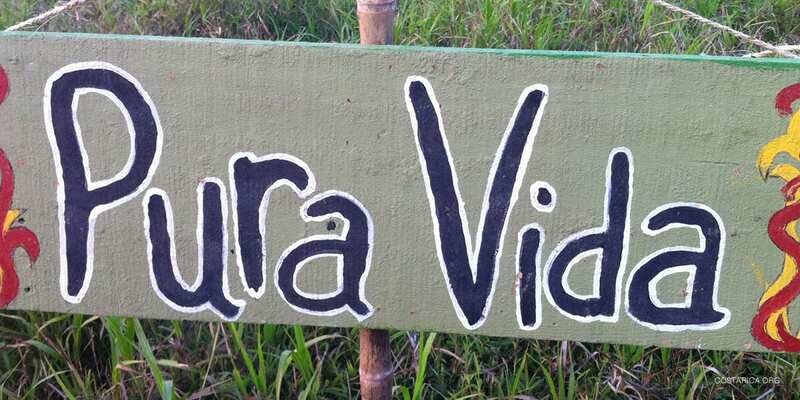 One of the most amazing parts of Costa Rican culture is learning about Pura Vida or “The Pure Life.” In Costa Rica, relaxing, taking time for yourself and living life to the fullest becomes second nature to you. Just because you are home does not mean you have to lose those feelings. Take time during your day to integrate Pura Vida into your life. When you are sitting at your computer feeling tense and wishing you were still laying on the beach or trekking through the jungle, take a deep breath, relax and just remember PURA VIDA. Getting the post-travel blues is a regular occurrence for most travelers, especially those who have left the beauty of Costa Rica. A great way to avoid this slump is to connect with each other. Meet with the people you traveled with and talk about your adventure. Did you travel alone? Then seek out social networking sites, local community groups or other networks to meet fellow travelers. Meeting and talking with fellow travelers will help to reinforce all the amazing memories you’ve made. 5 – Plan Your Next Trip! Let’s be honest, the best way to recover from a trip to Costa Rica is to plan another one! Pull out your map, look a My Costa Rica’s site and start dreaming. Decide on the areas you would love to visit again and look for new places that you would love to explore. Start saving those pennies and you will be back in Costa Rica before you know it. Adjusting to life after your Costa Rica Trip may be tough, but it’s not impossible. Hope you take away some of these tips!